MCW allows medical professionals and health practitioners to gather weight and BMI measurements of people with limited mobility. 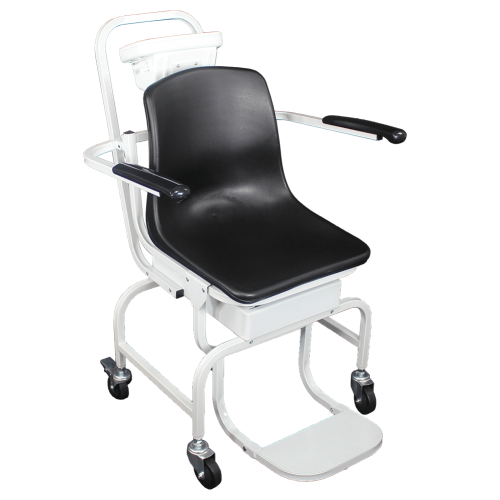 With sturdy construction, stability, and easy accessibility, the MCW allows patients to relax during the weighing process. To allow personalised adjustments, foot rests and arm rests pivot for added comfort. Swivelling wheels allow the chair to be moved and manoeuvered conveniently into the ideal location.